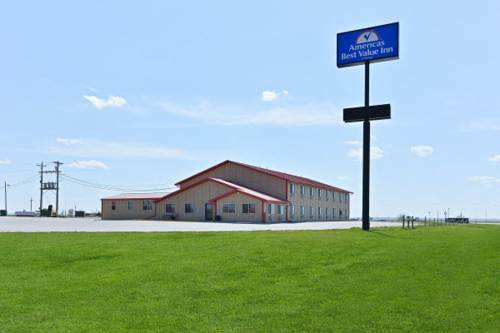 The Americas Best Value Inn is centrally located in Kadoka/ South Dakota. Our facility offers spacious Guest Rooms. All our Guest Rooms are furnished with free High-Speed Internet Access/ Coffeemaker/ Cable TV/ Complimentary Local Calls/ and Wakeup Service. We also provide a fresh Complimentary Deluxe Continental Breakfast. For business travelers we offer Fax and Copy service. Pets are allowed/charges and restrictions apply. We have a Dining Room which can be converted to a Meeting Room. Our courteous and experienced Front Desk staff is here to assist you 24/7. The Americas Best Value Inn is centrally located off I-90/ Exit 150. . Sprawling vehicle collection includes an Elvis motorcycle, "General Lee" from the Dukes of Hazzard, and a car made of wood.